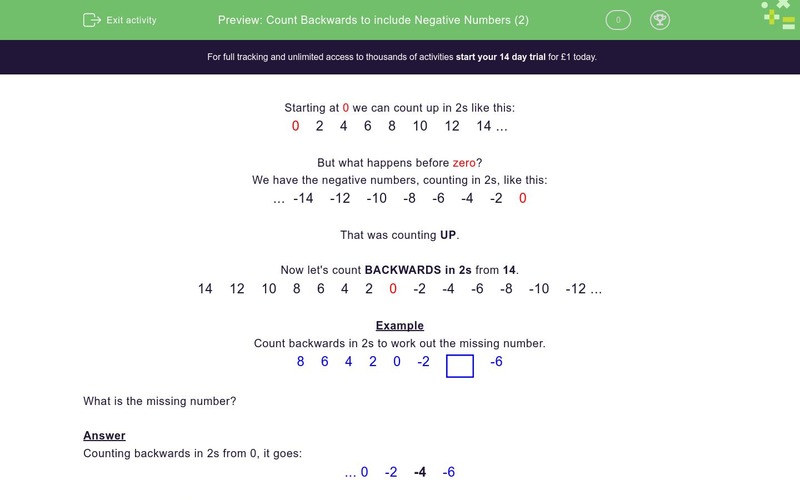 In this worksheet, children must count backwards in 2s through zero to include negative numbers. But what happens before zero? Now let's count BACKWARDS in 2s from 14. Count backwards in 2s to work out the missing number. So the missing number is -4.